At Microsoft, we believe in supporting and collaborating with the online advertising industry to develop standards that make the digital ecosystem function better for consumers, marketers and publishers. In this spirit, we are excited to announce that Microsoft has joined the Coalition for Better Ads (CBA). Through our advertising platforms, and our multitude of consumer services, we believe we can make an important contribution to improving and safeguarding advertising standards on the web. 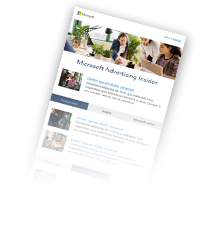 Microsoft is committed to working with our industry partners and the Coalition for Better Ads to continue the development and implementation of standards that will have a positive impact on consumers and the entire online advertising community.